In this article, we will help you understand the ins and outs of the paramedic salary in Pennsylvania. Using data from the U.S. Bureau of Labor Statistics, as well as income numbers from Salary.com, we’ll also reveal how much EMTs and flight paramedics make, as well. So how much does a paramedic make in Pennsylvania? Well, let’s take a closer look. One of the first things that is important to understand about paramedic salary in PA is that it can vary based on many different factors. One of the biggest factors is the region in which one works. Location is always important when it comes to salary, as a person working in one area of the country can make more (or less) than another person elsewhere, despite the fact that they’re doing the exact same job. Other factors that affect the paramedic salary in Pennsylvania are prior work experience, as well as whether a paramedic works overtime. It’s also important to remember that the job of a paramedic can lead to further growth within the world of EMS. Not only do some people go from working as a paramedic to becoming a firefighter (and thus becoming a highly coveted firefighter paramedic), others jump into a career in education and management. And it’s these kinds of advancement opportunities that can ultimately lead one to earn a higher salary. Before we get into any specific numbers when it comes to paramedic salary in Pennsylvania, let’s quickly cover a few important national statistics. Using Salary.com as our guide, let’s see how the salaries for EMTs, paramedics, and flight medics compare in the largest cities in Pennsylvania (by population). In Philadelphia, EMTs earn $31,492 annually. Paramedics earn $39,922. And flight paramedics make $42,714 in yearly income. In Pittsburgh, EMTs make $29,592. Paramedic salary is $37,514 annually. And a flight paramedic salary makes $40,137 every year. In Allentown, EMTs earn $28,651. Paramedics earn $36,321. And flight paramedics make $38,861 in yearly income. In Erie, EMTs earn $28,813 every year. Paramedics earn $36,526. And flight paramedics pull in $39,080 in yearly income. 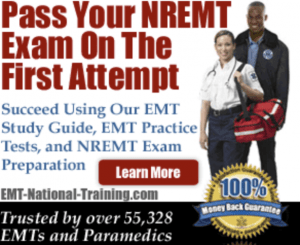 In Reading, EMTs make $31,174 per year. Paramedics earn $39,519. And flight paramedics make $42,283 in yearly income. If you’re currently looking for a paramedic job in Pennsylvania, it’s recommended that you visit our job board. There, you can search for hospitals and ambulatory services that are looking to hire educated and trained paramedics. Looking at the numbers, it’s a bit of a mixed bag when it comes to paramedic salary in Pennsylvania. While some states such as Philadelphia or Reading pay their paramedics above the national average, other cities such as Pittsburgh, Allentown, and Erie do not. And while these cities don’t fall far below the national average (according to Salary.com), it is something for prospective paramedics to keep in mind should they be interested in pursuing a paramedic job in PA.